After the lovely wedding, people might have their honeymoon set already as part of their wedding plans. However, other newlyweds have yet to find a perfect honeymoon destination through reading the brochures and browsing the Internet. A honeymoon in Napa Valley can be ultra-romantic! Napa Valley is a choice location for romantic getaways. Although there are places and activities specifically geared for the kids and the whole family, Napa Valley is largely seen as a holiday destination for the adults. Why wouldn’t you love Napa Valley? The famous wine region is an enchantment already. Its scenic views, over 400 wineries, several hotel and lodging options, cozy restaurants and neighborhood bars, exciting places to shop, the arts and culture scene, places to have relaxation and pampering…you could pretty quite much say that the Napa Valley has it all. Bring your honeymoon to the next level in this charming West Coast wine region. A visit in Napa won’t be complete without discovering the wineries and tasting rooms. Napa Valley has a lot of world-famous winemakers, and they are in the priority list of many tourists. But remember, it has over 400 wineries! So if you want to expand your winery exploration goals, consider visiting one or more little-known establishments whose wines are just as good as (or even better than) those of their more popular counterparts. The small-time wineries are praised for their laid-back atmosphere, friendly staff, a bit more democratic wine-tasting approach for customers, surprisingly excellent collection of wines, plus great architecture and location. Plus, they’re not as crowded as the famous wineries. Artesa Vineyards & Winery, Cliff Lede Vineyards, The Hess Collection (which also features an art gallery), and ZD Wines are among the smaller wineries deserving of your visit. Napa Valley is also known for its restaurants, from the cozy and casual neighborhood joints to Michelin-starred establishments. Find the perfect pizza at Ciccio, tapas in La Taberna, Ad Hoc for the chicken and waffles, or Morimoto’s signature sushi. You also do not want to miss shopping at the Oxbow Public Market where you can find artisanal culinary creations. A honeymoon is supposed to be a time for relaxation, and as much as possible a honeymooning couple doesn’t want to encounter crowds during their visit. Good news for those who want to go to Napa Valley: it might be ideal for them to visit the wine region during the winter months (December to January especially) as they are Napa’s off-peak season. You won’t expect a lot of crowds, and you’ll have the chance to see the Napa Valley in its extraordinary transformation — the bright yellow wild mustard blooms steal the show away from the sleeping vineyards, backed by the emerald green hills and valleys. As the winter months are Napa’s off-peak season for tourism, hotels offer attractive discounts, which is absolutely great news! The hotels you cannot touch in the summer all of a sudden become affordable in the winter! Pamper yourself and your significant other by going to one of the luxurious spas in the region. After going to different wineries and restaurants, as well as shopping, an afternoon massage will soothe your tired bodies. Choose aromatherapy, Thai, Swedish, shiatsu and deep tissue massages, or wallow in a therapeutic mud bath. Planning to view the Napa Valley at its highest “vista point” — meaning, way up in the sky? 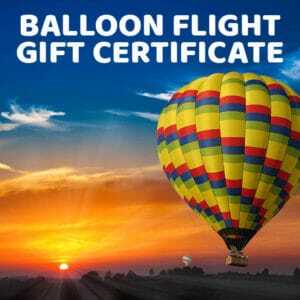 You can do it by riding a hot air balloon! 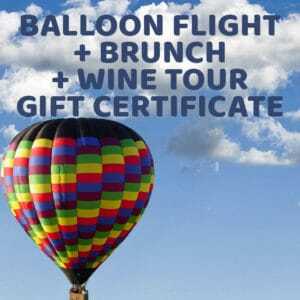 Balloons Above the Valley (BATV) will be there to help you achieve the literal zenith of your honeymoon in Napa Valley! For a more private hot air balloon experience, BATV also offers an exclusive flights option where you can enjoy the hot air balloon basket space all to yourselves (and the pilot), allowing for non-distracting views of the gorgeous Napa Valley landscape. In the morning your pilot will take you to the region’s beautiful rolling hills and valleys, neat and lush rows of vineyards, sparkling waters, and the overall splendor of this bustling and gorgeous area whose views will surely set the tone for more romantic moments. Our exclusive flights option also includes a delicious pre-flight breakfast with freshly baked goodies and Starbucks coffee, and then a post-flight champagne brunch where you will enjoy an exclusive table. Rates may change so it’s better to contact us for the pricing and for assistance in booking your reservation at 800-464-6824 or info@balloonnrides.com. With its gorgeous landscape, many places to see, wonderful food to eat, and a variety of things to do — and not to mention sip and savor its fine-caliber wines — a honeymoon in Napa Valley will surely be a best bet after all!